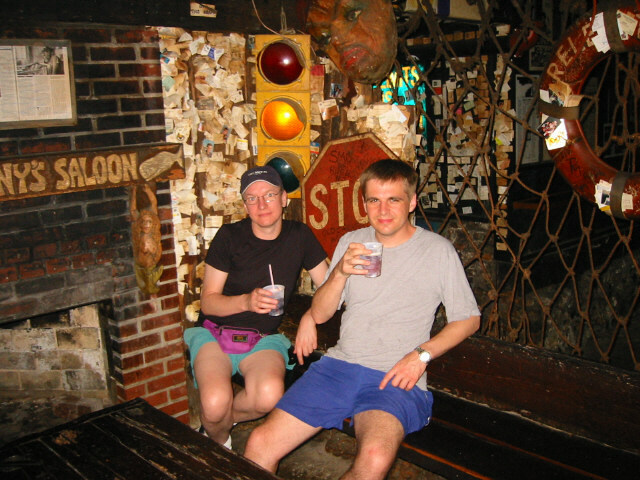 Page 1 of 7 Chris and Andy in Captain Tony's Saloon, the original Sloppy Joes Bar. 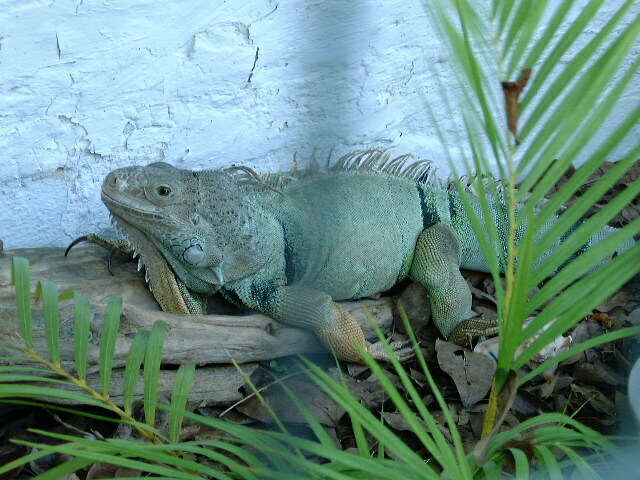 Chris and Andy outside Sloppy Joe's Bar. 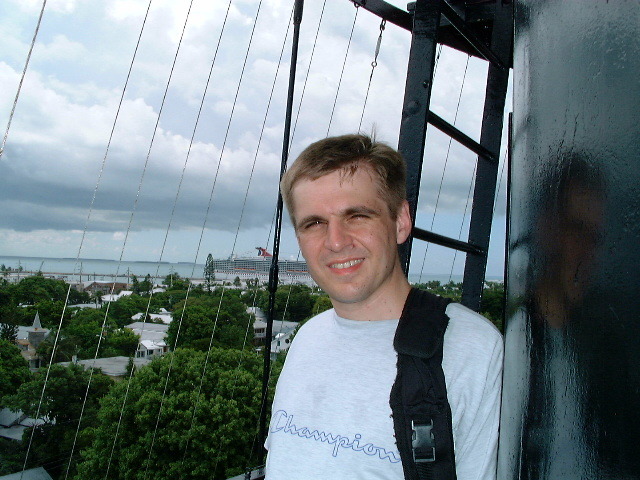 Chris at the top of Key West lighthouse. 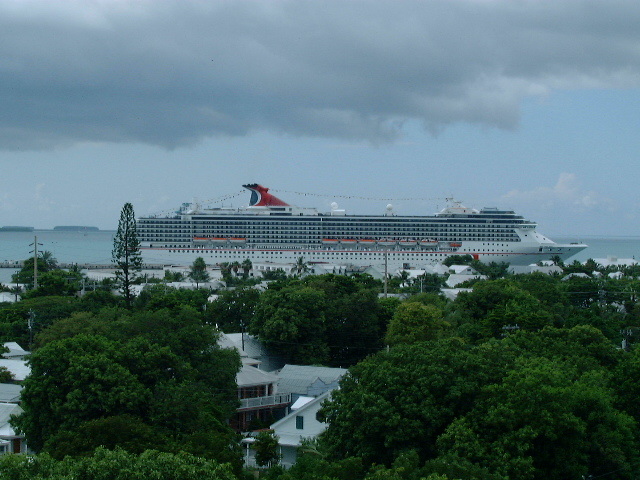 Carnival ship in port at Key West. 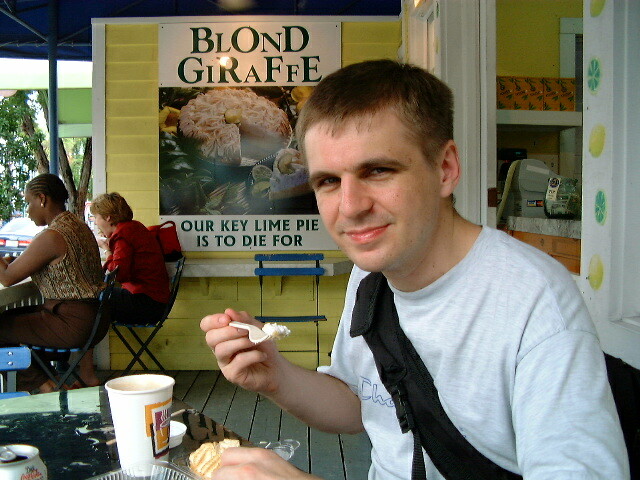 Chris eats Key Lime Pie. 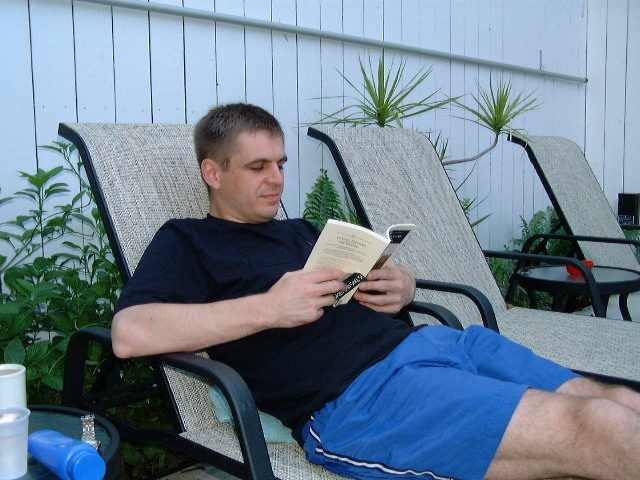 Chris reads by the pool. 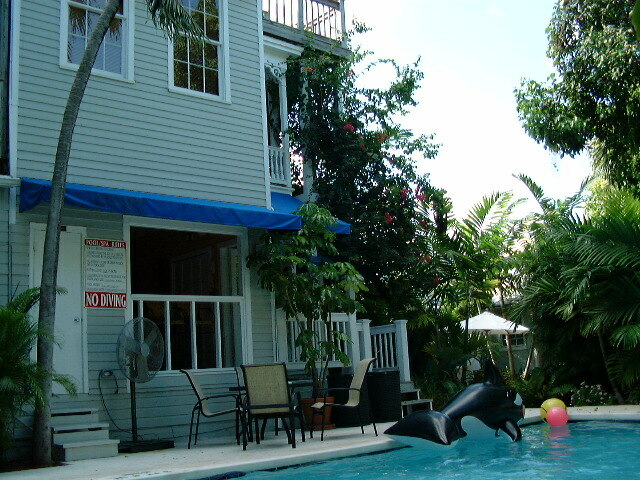 The pool patio at Coconut Grove. 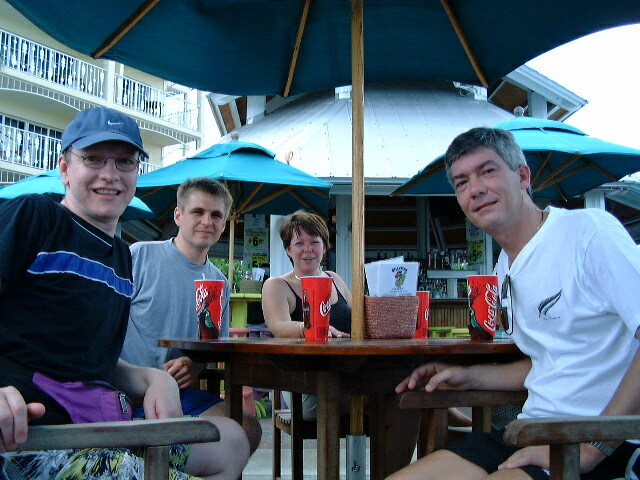 Andy, Chris, Julie, Mark in Key West.